The infamous and lengthy Omar Khadr saga continues as Canadian Supreme Court officials recently denied his defense team’s request for his repatriation–even after lower courts determined that his rights were grossly in violation of section 7 of the Canadian Charter of Rights and Freedoms. The infamous and lengthy Omar Khadr saga continues as Canadian Supreme Court officials recently denied his defense team’s request for his repatriation–even after lower courts determined that his rights were grossly in violation of section 7 of the Canadian Charter of Rights and Freedoms. The high court which consists of nine judges unanimously agreed that although there is specific evidence that Mr. Khadr has endured threats and brutal torture during his years in US custody, it would be a violation to return him to Canadian authorities as it would “intervene in matters of foreign relation.” Khadr, who is scheduled to appear before a US military commission in July, is reportedly the last westerner in the ill famed Guantanamo Bay camps. Among other reports of abuse that he endured, he is reportedly the victim of the “frequent flyer program” where he was not allowed to rest for more than three hours in one location before being carted off to various holding cells. 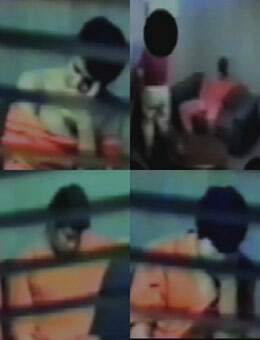 This method of sleep deprivation is used by US authorities and is intended to weaken the minds of detainees in an attempt to prepare them for confessions. Khadr was subjected to this program for three weeks and then questioned by Canadian authorities about his involvement with Al-Qaeda and the alleged killing of a US soldier during a battle where he himself sustained three gunshot wounds. Questioning under these weakened conditions is considered to be a violation of human rights. The decision to deny Khadr’s repatriation comes as no surprise as this case has topped international headlines for the past 8 years. Khadr, the son of Ahmed Saeed Khadr who reportedly had ties with Osama bin Laden, was arrested in Afghanistan after allegedly throwing a hand grenade during a battle between US and Afghan forces and killing a US soldier in 2002. His case made headlines as he was apprehended and detained when he was a 15 year old teenager and eventually made to serve time in Guantanamo Bay with adult detainees. Over an 8 year period his case has taken many bizarre twists and turns as his lawyers seek to have him returned to his homeland of Canada. Questions of abuse and torture remain as an underlying theme as Khadr who is facing charges of murder, attempted murder and providing material support for terrorism, can be held indefinitely according to the law. According to the National Post,the Guantanamo Bay detainee has recently bumped up his claim to $10-million from $100,000, court documents show. The Federal Court gave Mr. Khadr permission last spring to increase the amount of his claim following revelations a Foreign Affairs official knew Khadr had been subjected to a “frequent flyer” sleep-deprivation program to make him less resistant to questioning. “There is certainly potential . . . but it is hard to imagine how money is going to make it better while he’s still there at Guantanamo,” said Milne, executive director of the David Asper Centre for Constitutional Rights at University of Toronto. Previous articleExactly where is the Caribbean?